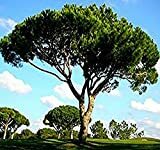 Italian stone pine growing tree of the genus Pinus also known as Umbrella pine, Italian stone pine perennial pinophyta plant and also used as ornamental plant, can grow in mediterranean, subtropical or temperate climate and growing in hardiness zone 9-11a. Flower small color yellow flower that grow male and female flower separate, the male flowers on the top of the tree, female flowers lower and grow on a cone. 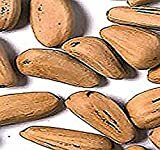 Nuts are cover with black brown nutshell, the nuts grow in a cone the color of the nuts are yellow-cream. 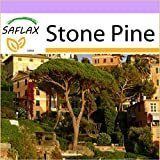 Is it necessary to graft in Italian stone pine? 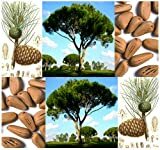 What can be done with big quantities of Italian stone pine fruits?